Automobile racing and fireworks – what better way to celebrate the Fourth of July! This Saturday Williams Grove Speedway presents an Independence Day show featuring the Blazer’s Body Shop Super Sportsman, Credit Connection Auto Sales 358 Late Models and Aquafun Pools Street Stocks. The Blazer’s Body Shop Super Sportsman will compete in the Firecracker 30. Frankie Herr has a ninety-point lead over Scott Dellinger. Scott Geesey is third in points followed by Jay Fannasy and Bobby Hockenberry. Billy Wampler is maintaining a 145-point advantage over Shaun Jones in the Credit Connection Auto Sales 358 Late Models. Wes Alleman, Cam Zeigler and Scott Richwine trail the lead duo. The Aquafun Pools Street Stocks will have a busy weekend. The highly competitive division will be in action Friday night as part of the Williams Grove Speedway Mitch Smith Memorial. One night later the Street Stocks are in action with the Saturday Night Series. Craig Morgan has an 80-point lead over Jeff Haag. Jasen Geesaman, Kevin Sigler and Mike Buckley complete the top five. Added to the Saturday night show will be a festive fireworks display. A championship Super Sportsman show, two competitive stock car classes plus a fireworks display and adult admission will remain at $6 with children 12 and under free. 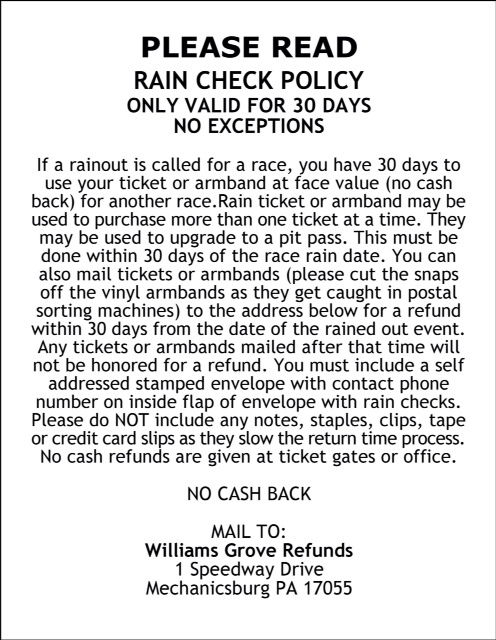 Williams Grove Speedway management will donate their half of Saturday’s 50/50 money to the Kiwanis club. 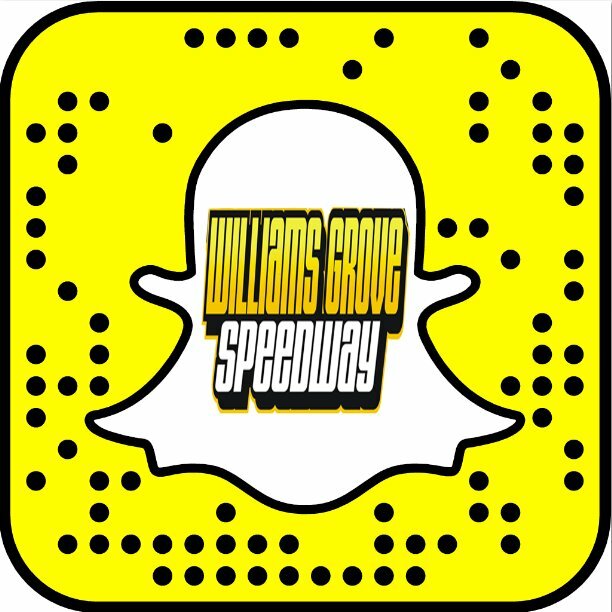 For more information on Williams Grove Speedway’s Saturday Night Series and all other events at the historic half mile please visit the speedway’s web page at www.williamsgrove.com or the track’s Facebook page.